It's full of knits. It's full of colour. And it's little. Little Colour Knits is therefore an apt title for ceramicist Dee Hardwicke's recent collection of nature-inspired homewares and accessories. And since Dee is running a workshop for us in April, I thought I'd spend some time looking at her techniques being put into practice in these cute little projects. 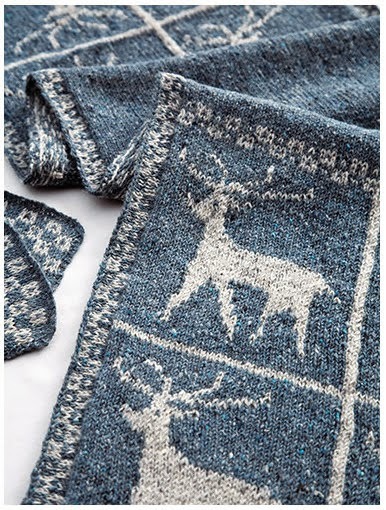 Little Colour Knits features four lace projects and eight colourwork projects, of which six are intarsia, one is stranded (Fair Isle) and one is embroidered. In spite of the diversity of techniques involved, these designs form a very cohesive collection as they all feature bright colours and nature motifs. The focus throughout is on the motifs: in both the lacework and the colourwork, there is usually a simple motif repeated across the work. This simplicity extends to the shape of the projects themselves, many of which are straightforward squares or rectangles and involve no shaping at all. Most designs are available in only one size (though this is not a problem for something like a cushion or a table runner) and this allows for a clean, minimalist layout in the pattern and eliminates the risk of accidentally knitting from two different sets of instructions. 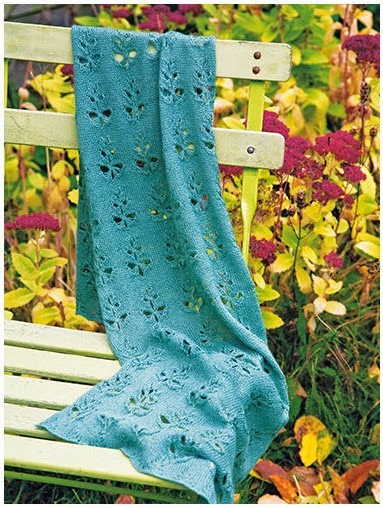 All of the colourwork patterns are worked from large, clear charts and the lace designs are worked from written instructions. It seems a pity not to have included charts for the lacework, but the motifs are easy to work and quick to memorise. It is absolutely worth taking a moment to acknowledge some of the details tucked into the layout of Little Colour Knits. 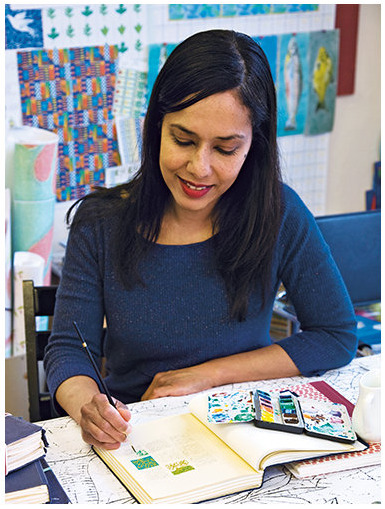 Dee's artistic touches are everywhere and each project is explained with reference to the beautiful hand drawn sketches included throughout the book. I also have a weakness for nice fonts and could not help but notice that the title for each design has been coloured to coordinate with its respective project. One of the nicest things about Little Colour Knits is that this book feels like a creative project in its own right. It's a project about projects and this gives a practical edge to the beauty of its watercolour illustrations and handwritten notes. This is a book that will inspire you to knit, but also to sketch and maybe even to compile a pattern book of your own. 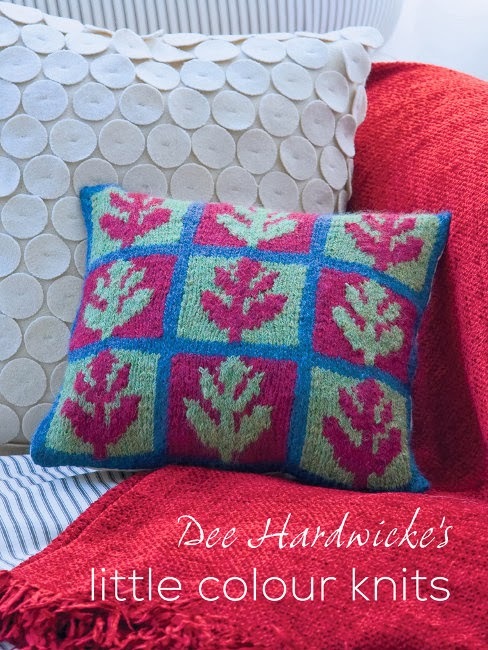 Find out more about Dee Hardwicke by visiting her website.